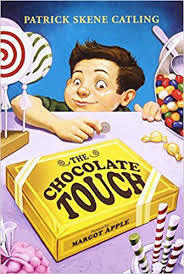 CELEBRATE THE CHOCOLATE TOUCH: The whole family is invited to the Library, on Monday, November 5th from 6:00-8:00PM to help us celebrate North Tonawanda Schools One District, One Book program. Ben, an Eat Smart NY Educator from Cornell Cooperative Ext. will be serving healthy snacks, such as Apple Nachos, slices of apples topped with warmed peanut butter, vanilla yogurt and assorted fun toppings. Also, meet Timmy, a certified therapy dog. Honoring the winning book , The Chocolate Touch, there will be chocolate themed activities, crafts and book readings. Everyone come and join in the fun! NO REGISTRATION NECESSARY.